Each marker gives you an intense colour lay down, has a crush resisting long life nib and chunky easy to hold barrel. 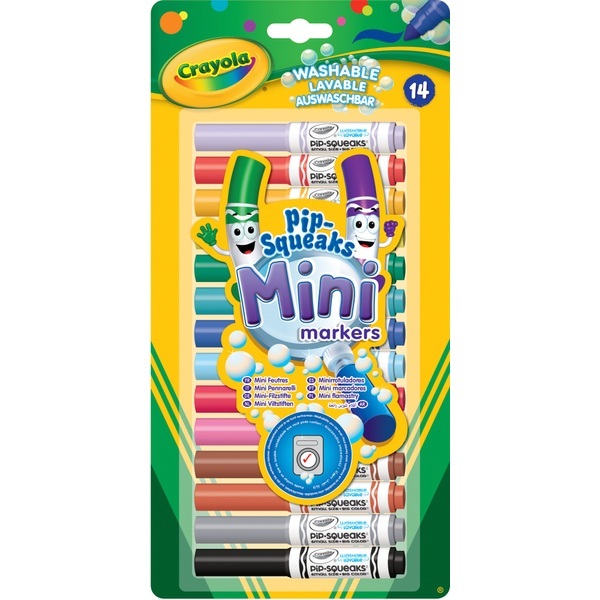 14 bright Mini Markers that have the same quality standard as Crayola Markers, but in a cute dinky size. Each marker gives you an intense colour lay down, has a crush resisting long life nib and chunky easy to hold barrel. Plus Crayola's Pipsqueaks contain washable inks.